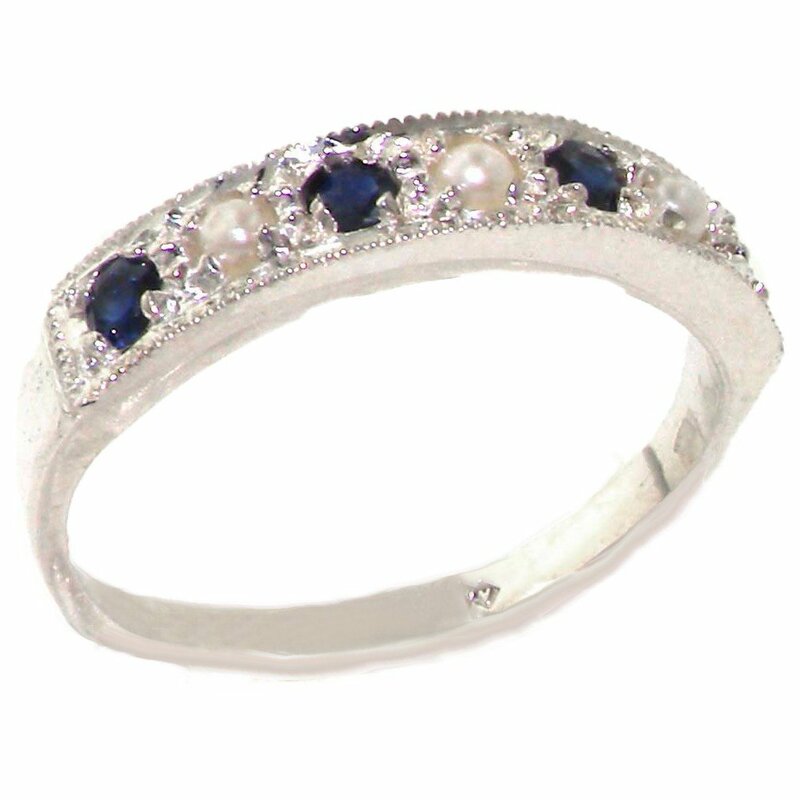 This Delightful Eternity ring has been hand set with a beautiful number of 2.5mm round Sapphires & Pearls. A beautifully designed eternity / band style ring, which can easily be worn at the same finger as an existing wedding ring (being 4mm wide) and the stones are set very securely with the setting being safe by the quite raised edge. These are Genuine Natural Sapphires & Pearls. The Silver is Solid Sterling Silver authenticated by the Assay Place of business in London, England. They have got stamped their mark at the inside of the shank to confirm that this ring is made of Solid 925 Sterling Silver. This mark is unique to the Assay Place of business in London and will only be found on High Quality Silver articles. This ring used to be Designed and Made in England, and can be sent to you in a Luxury Presentation ring box.